Wow, The Newport Folk Festival Lineup Gets Even Better (If That Is Possible)! 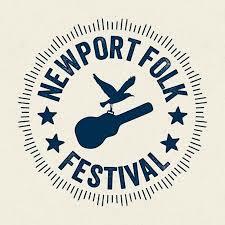 The Newport Folk Festival continues its amazing lineup announcements! C.W. Stoneking – I saw this Australian powerhouse last year and fell in love with him and his all-female band! Nancy and Beth – I had never heard of this duo before seeing them last year but really enjoying seeing them (Megan Mullally and Stephanie Hunt). Berklee Gospel & Roots Choir – They are always a fabulous way to start Sunday! Chicano Batman – They are fabulous live and a great addition to the folk family. Grandma’s Hands Band – It is anyone’s guess what this is, but whatever it is will be fun! Shovels and Rope – This wonderful husband and wife duo are always a joy to see. Billy Bragg and Joe Henry – I missed them a couple of times over the past year but will not miss them this time! Billy Bragg is one of my favorites. Carl Broemel – I became familiar with him as a member of My Morning Jacket, but had the opportunity to see him solo (well, with the other members of MMJ except Jim James) and loved the show. Mt. Joy – I am unfamiliar with this band but look forward to listening to them before the festival. Posted on April 18, 2017, in concert announcements, music, Uncategorized and tagged Berklee Gospel and Roots Choir, Billy Bragg and Joe Henry, boston, C.W. Stoneking, Carl Broemel, Chicano Batman, concert announcement, festival announcement, Grandma's Hands Band, Joseph, Mt. Joy, music, Nancy and Beth, Newport Folk Festival, Shovels and Rope. Bookmark the permalink. Leave a comment.